Most rookie drivers want to get into their own truck and go, go, go. They want the freedom of the open road and to prove to their company that they can do an awesome job. Unfortunately this “gotta get it there” mentality can cause accidents or even mistakes which can lead to wasted time. One of the things that takes time to develop is the ability to slowly enter a congested situation like a truck stop parking lot, survey the area, and make a good decision regarding turning, backing, and parking. Often times drivers will use Google Earth to view an overhead satellite image of the customer, truck stop, hotel etc. They plan how to arrive, enter, dock, and park. Slow it down, both physically and mentally and you will save time, drive safer, and in turn, make more money. Truck stops can be one of the most dangerous places for any driver, let alone a rookie driver that has just recently gone solo. Be sure to go slow, and I don't mean in 6th or 7th gear. I mean 5mph, tops. Scan constantly for potential hazards, and find an easy space to park. Many truck stops and rest areas, especially in the East, were designed decades ago for shorter trailers. Because of this, backing in and pulling out can be very difficult. Make lists of truck stops, rest areas, Walmarts and other parking places that are easy for you, and a list of the tough ones you do not want to return to. Use Google maps, Trucker Path, or other apps to log your “Favorite” places. Choose one of three or four open spaces together to back into so you are much less likely to hit someone, and always use the driver's side to do so. If there are two spaces open, be sure to park so that the closest truck is on your driver's side. This will diminish the chances of hitting the other truck on the blindside. Look across from the space you choose. Do you have enough room to pull forward out of this spot at 2am? Is there a possibility of someone parking perpendicular to you which would block you in? Is there a space open that would pull forward into an aisle so that you do not have to turn at all or no one can park in the aisle and block you in? Determine whether the open pull-through is more of a danger than the four consecutive open spaces you would need to back into. How narrow is that pull through? Are you far enough over to the left to swing right into the pull through? Is the aisle pulling out of the pull through narrow, making pulling out at night difficult? Look at the trucks across from you. Is that long nose Peterbuilt so far into the aisle that you might have issues getting out? Which way would be easier to turn? Is there extra space across from you, such as a trash dumpster area, that would allow you more pull up room? Tackle customers the same way. Use the Google Earth feature to determine where you can turn to always back on the driver's side. Look behind the building in Google Earth to see if there is room for a U-Turn back there. If there's no room to turn past the docks, is it easier to turn around immediately, then straight line back past the various docks to back in on the driver's side? Is there a parking area so you can check in without being in the way of trucks going into and out of the docks? Always G.O.A.L. (get out and look), always do the easiest maneuver. Mentally slow down with everything, even with paperwork. If you rush, you can easily grab the wrong trailer, turn into the wrong parking lot, drive into a fuel pump at a wrong angle, or not realize a customer error. For example, I was given a load with two stops in Texas. When I reviewed the paperwork, I realized one of the stops was correct, the other was in Phoenix, AZ. The second Texas stop was not on the bills at all. That load was supposed to be 400 miles, but instead it turned into a 1500 mile load. Had I not recognized the miscommunication between my company and the customer, I may have wasted a lot of time sitting for a second stop that did not exist instead of being on my way to the next good load. I often re-read my load assignment several times to confirm dates and appointment times. One friend thought the load gave her enough time to get a 34 hour break in the middle, but she had read the date wrong. She wound up seven hours late to the appointment. When you showed you I.D. did the customer return your driver's license? Did you get a receipt for the lumpers? These may seem like simple things, but when someone is always in a hurry, the little things get overlooked and can cause big headaches. Fixing these issues could cost you a lot of time and money, so take it slow. Every time I descend Monteagle Mountain in Tennessee, which is only 6% for 4 miles, I see trucks at the bottom with their brakes smoking. I once saw a trailer on fire. I'm always slow, and I keep truckin' along while those guys are either sitting there on the side of the road, or worse, losing their job due to a fire. Don't be that driver. “But I need to run and go fast!” and “I can't make money in a truck at 62 mph” are common statements from inexperienced or incoming drivers. I never understood this statement, and perhaps the need for speed is a guy thing. My initial concerns involved whether a new driver who does not yet have proper control of that 72 foot long, 80 thousand pound killing machine should even be allowed to go 62 mph. Remember, even governed trucks will fly downhill, and they must be controlled. Not being experienced enough to downshift quickly at higher speeds can heighten the risk of accidents. Whenever I hear these complaints about governed speeds I usually think about all of the places with 55-60 mph speed limits. Think about it, during the summer, most of the country has construction reducing the speed limits to 45 or 55 mph. This year I-80 through Ohio and Indiana had over one hundred miles of construction that slowed things down. The truck speed limit in California is 55 mph, as well as most major cities such as Nashville and Chicago. Most of the cities are too congested to go above that anyway, and anyone who has been to Atlanta, Dallas, Washington, or Baltimore will tell you that driving 35 miles can take a couple of hours depending on the time of day. Throw in the mountains, hills, curves, and various downgrades on both sides of the country, and the only way you will be moving at full speed in some of these places would be if you are empty. Have a 43,000 pound load? Forget climbing or descending in top gear. I didn't even get to the winter driving yet. This year I-40 had a pile up of dozens of vehicles on ice in Tennessee, and even Atlanta and other parts of Texas had snow. I-40 across the Arizona and New Mexico deserts were full of ice as well. Add in the fog, rain, wind, lake effect snow, hurricanes, tornadoes, etc, and there is no way I am driving at full speed all of the time. It just doesn't happen. So who cares if I had the ability to drive 70 if it means driving unsafely and risking an accident? Many companies give fuel bonuses for higher miles per gallon. To do this in my truck, I need to keep my RPMs at 1,100. In my truck, maintaining 57-58 mph will get me one or two miles per gallon better than if I'm going 62 mph. My average bonus is 3 cpm , but the maximum I have received was 8 cpm. So my average weekly fuel bonus is about $84, and the most I ever received was $224 in one week. Not bad for driving the same distance. Fuel consumption is also affected by weight and geography, so try as you may, even the slowest driver may not be able to get that higher fuel bonus. But again, slow down to think about the affects of everything you do. My company even has a “Top 200 drivers most likely to have an accident” list. A couple of incidents and locking it into top speed can land you on this list, even without an accident. So dropping down a couple mph can go a long way toward improving your reputation. Some will argue that it is wasting hours on their 70 clock by going slower or that they can get another load if they can deliver early. This is true. However, getting to a customer early does not mean getting unloaded early. They may still make you wait hours past your original appointment time so it's possible the only thing you are losing is fuel bonus money if you insist on going full speed. It takes a long time to gain the judgment, confidence, and skills to do this job efficiently. Remember to always GOAL and scan your surroundings for safety hazards. Always look for the easiest way to accomplish your task. Pay attention to every detail, including dates, bills, routes, weather reports, and traffic conditions. 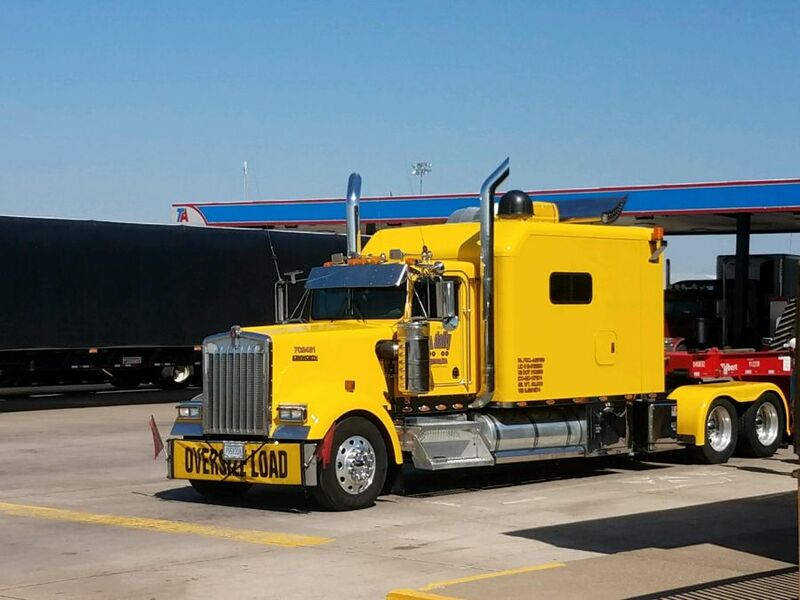 Taking a little extra time can save you money, stress, the affects of having an accident on your CDL , and could leave a great impression on your company due to the reduced costs of fuel and damages. Be safe, protect your license by not taking unnecessary risks, and you will gain the respect of your dispatch while making more money. Drivers are often paid by the mile and it's given in cents per mile, or cpm.